Perhaps you should start out with some nice card tricks instead. 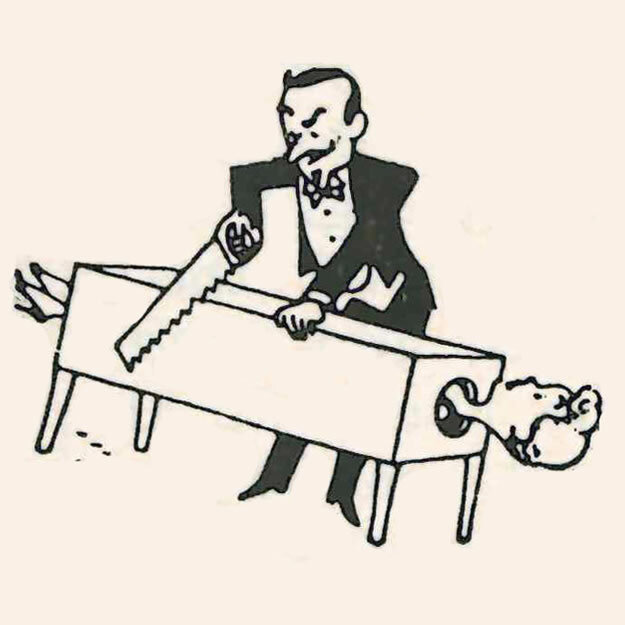 1000 Magic Tricks You Can Do! Mystify — astonish others. Have fun. Be the life of the party. Make money in spare time too! Rush 10¢ now—today for this $1.00 Giant Deluxe 160-Page Magic and Fun Catalog. Loaded with Magic, Pocket Tricks, Mysteries, Illusions, Secrets, Mindreading, Hypnotism, Party Stunts, Joker’s Novelties, Puzzles, Brainbusters, Books, etc. Low prices. Everything illustrated! Send name, address and only 10¢. Dept. OL1-64 • Monroe, Conn. This entry was posted in ads of yore and tagged ads, advertisements, magazine ads, magic, magic tricks, magicians, print ads, vintage, vintage ads on January 12, 2017 by Clayton Hove.